Nova Ponente (ger. Deutschnofen, 1.357m), however, is the capital of the Val d'Ega (valley Ega; ger. Eggental) and is situated on the plateau "Regglberg" which enjoys a particularly sunny position. In winter Nova Ponente is the ideal starting point for cross-country skiers, alpine skiers, hikers or for those who like to do hikes with snowshoes (ital. ciaspolade), while Obereggen is a stone's throw away from the ski region “Ski Center Latemar”. This ski region offers 48km of slopes, 18 lifts and has also a snow park and a half pipe for snowboarders. At night there are a perfect illuminated ski and toboggan slope, 2.5 km long. Lovers of cross-country-skiing have 60km of slopes at their disposal. In summer the region offers its guests numerous hiking trails of various difficulty that give the possibility to make trips in the mountains, offering breathtaking views of the massifs Rosengarten, Latemar, Corno bianco (white horn) and Corno nero (black horn). The “sentiero delle cappelle” (chapels trail) is a great combination of physical activity and cultural event. The culture enthusiasts shouldn't miss a visit at the Church of St. Elena with its Gothic frescoes in Nova Ponente. 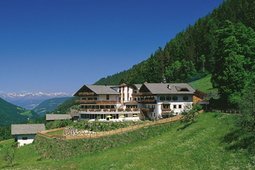 At the Hotel Mayr in the middle of unspoiled nature, green meadows, woods and the fascinating mountain world of the Dolomites, you will find daily well-being, for an unforgettable holiday. The hotel is situated in a peaceful position, ideal for regenerating vacations. 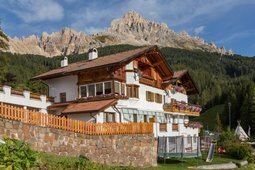 Pension Specker is located at the foot of Latemar and Rosengarten mountains, in an idyllic spot, surrounded by beautiful forests, meadows and pastures in the heart of the Dolomites. In summer it is an ideal starting point for hiking, mountaineering, cycling and motorbike tours. 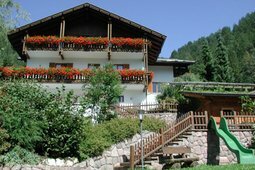 Welcome to the Hotel Marica in Eggen, South Tyrol! Alpine, mediterranean, contemporary: this is how the hotel could be described in just a few words. Located in a peaceful and sunny spot, beautifully furnished, light and spacious with a refined cuisine. 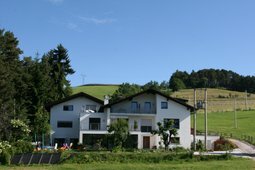 The apartments Oberzöhr are situated on a sunny high plateau of the popular holiday village Deutschnofen on one of the most beautiful mountain range terraces in South Tyrol. You can reach the house from the village centre by car (1 mile) or by foot in 10 minutes. The farm is an agricultural farm in the mountains lead by the family and is focused on activities such as breeding animals and producing milk. It is located in the beautiful Val d'Ega on the sunny plateau of Nova Ponente, about 2km from the village, at 1300m above the sea level. The Spörlhof farmhouse is situated in a very tranquil spot on a south facing hill about 6 kms from the village of Nova Ponente and offers a superb panoramic view of the valley and the surrounding mountains. The apartments can accommodate 2-5 guests. Are you looking for a comfortable accommodation for your most precious days in the year? You will find a perfect match here at the Wiesenhof! The facility consists of two buildings, the main house and a more recent one just 20 m away. Welcome to the Eggererhof in Deutschnofen. 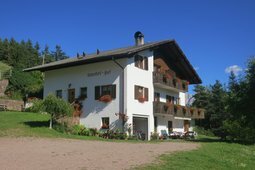 Here you can enjoy your holiday at a farmhouse located in a peaceful spot surrounded by woods and meadows close to the ski area Obereggen. 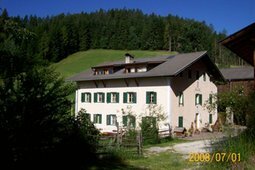 Eggererhof offers five double bedrooms and one quadruple bedroom. In these lovely apartments you will feel just like at home. 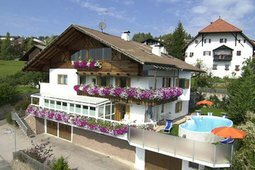 The house is located in a tranquil and sunny position above the village, surrounded by a wide garden with playground for children. After an active day you can recharge your batteries in the Samberg wellness area. 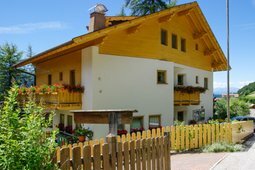 The Apartments Bergwald Mille Fiori are located in a sunny and quiet position in the heart of Obereggen, surrounded by the stunning woods and mountains of the Dolomites. The position of this mountain house is very convenient for every kind of holiday. 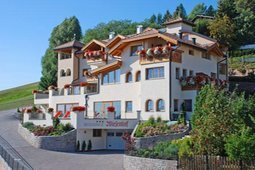 The Hotel Oberlehenhof is the right place for your family vacation, hiking, cycling, wellness, skiing, sports and other activities, offering all the comforts and a pleasant atmosphere of authentic Tyrolean style. The apartments Pichler are situated in Nova Ponente, in a central and sunny location with marvelous panoramic view. Here you can spend wonderful holidays with your partner, family or friends. A garage, a sauna and a games & fitness room are also available. 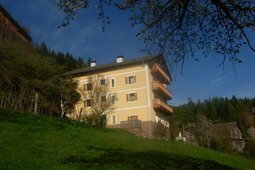 The Köhlhof is located 5 km from the center of Nova Ponente (10 minute drive)away , at an altitude of 1,325 meters above sea level. Thanks to its beautiful position, far away from the noise of the cities and cradled by rolling meadows, forests and pastures.